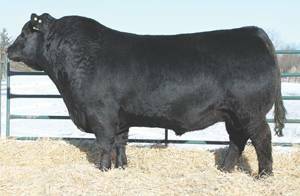 Bold is the $35000 lead off and top selling fall bull from the April 2010 Peak Dot sale to Hillcrest Enterprises. 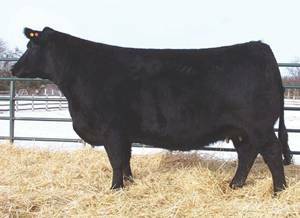 In that same sale his dam was the the top selling female when a half interest sold for $18500. He offers extreme thickness.